Halloween in the office is an annual team building, employee morale-boosting celebration that is fun for all involved. You can celebrate Halloween in the office. Engage employees in team building and relationship building events, festivities, fun, and food. And, you can bring your employees' families and significant friends to the office for the celebration, too. It's a proper occasion for friendship building and bonding between families. Such friendships can bring quality relationships to your workplace. They aid you in retaining your best, most contributing employees. Halloween is not related to any specific religion, ethnicity, age or other protected classification so discriminatory practices are not a particular issue. So, it's a holiday that almost everyone likes to celebrate. This is why Halloween has such powerful potential as a celebration in your office. Make sure, as with every office celebration, that you meet the diverse needs of your employees. Make sure non-alcoholic and sugar-free options exist for employees to drink. Juice, water, and regular soda are options for children. Recognize that an increasing number of people eat vegan and vegetarian at least part of the time. Offer vegan dishes that meet their needs as a part of any meal or refreshments you provide. Offer sugar-free treats in addition to regular sugary choices, too. Do celebrate Halloween in the office with family, friendships, and fun. Think creatively and celebrate Halloween in the office. Here’s what you need to know about having fun—with care, consideration, and respect for coworkers and their beliefs—about having fun with Halloween in the office. With planning and advanced preparation and guidelines that are appropriately communicated to employees, employers can avoid the Halloween scary. From alcohol-related abuses to sexual harassment and creating a hostile work environment, employers do have worries when employees celebrate Halloween in the office. Find out how to head problems off before they get started. Coming up with annual traditions is important in companies just as traditions are in families. Halloween is one of the best holiday traditions to establish and to celebrate at the office because it's unconnected to particular religions so diverse people are rarely offended. The myriad activities associated with Halloween allow you to schedule as few or as many events while still celebrating Halloween in the office. Find out more about having fun with Halloween in the office. Halloween celebrations in the office are motivational and fun for employees. But, Halloween celebrations in the office also bring their own set of challenges for the employer. Although Halloween is meant to be a festive day, for some employers it could be more frightening than fun when employees celebrate Halloween in the office. Keep Halloween fun in the office positive for employee morale and safe from employer legal, ethical, and liability concerns. Here's how. Traditions are important in companies just as they are in families. And, nothing is more important than the annual traditions that work places establish around the celebration of seasonal holidays such as Halloween. With families and employees, you can make Halloween fun in the office. A holiday celebration builds positive morale which results in increased employee motivation. Here are holiday celebration ideas for the fall and winter holidays such as Halloween. Every employee faces the decision about whether to drink alcohol at work events. Whether the employer offers an open bar or provides drink coupons for employees, alcohol is frequently served at work sponsored events. Each employee needs to know his or her limit if the employee decides to drink alcohol at an office event. Find out more. Employers can take care of their employees when alcohol is served at company events. Want to understand how? Here are fifteen ways that employers can use to de-emphasize alcoholic beverages while serving drinks at company events. Your employees will benefit from your precautions. Your business will avoid the potential for safety problems and potential lawsuits. De-emphasizing alcohol is a big win-win for all. 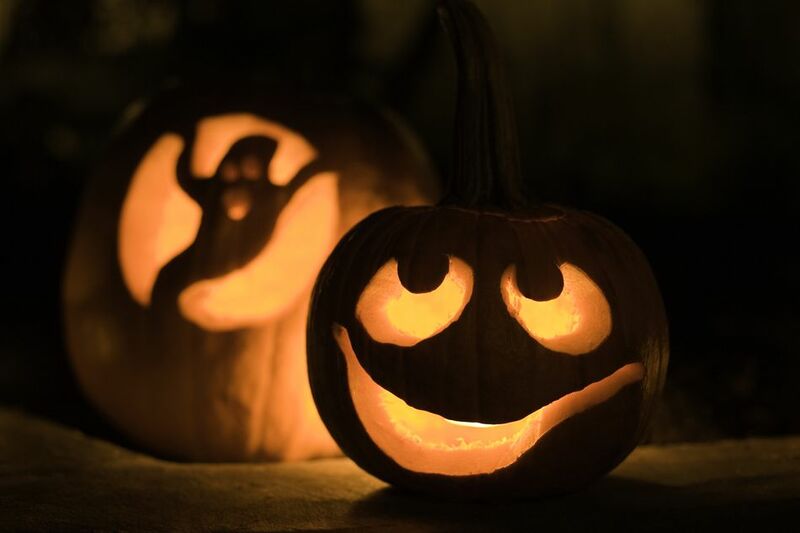 In the modern celebration of Halloween, most people enjoy the aspects of the holiday that derive from the pagan origins of Halloween, albeit with a secular mindset. The holiday celebrated by the great majority of people today is one of your most fun holidays. It has nothing to do with nationhood and has lost its religious significance for most people. You celebrate Halloween in the office simply because it is enjoyable to do so. Here's a resource from TheBalance.com that explores the fun and fantasy world of Halloween games for adults. Perhaps you will find some that are suitable for the workplace.